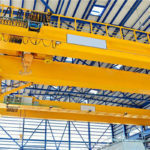 Overhead crane specifications can show the crane capacity and lifting applications. 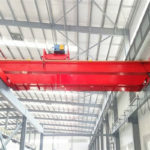 An industrial overhead crane is the permanent material handling system built into a production space or warehouse and composed of a bridge beam, runways, a trolley travelling lifting mechanism, electric mechanism and other crane parts. We strictly flow the national standard and have the standard engineering specifications. In our company, if you have needs about crane specifications, you find out the clear, concise, and accurate crane system information for procurement. In our company, there are many different crane types and tons depending on the clients’ demands. You can find out the single girder overhead crane and double girder overhead crane form our company. the common single girder crane capacity is from 1 to 20 ton. 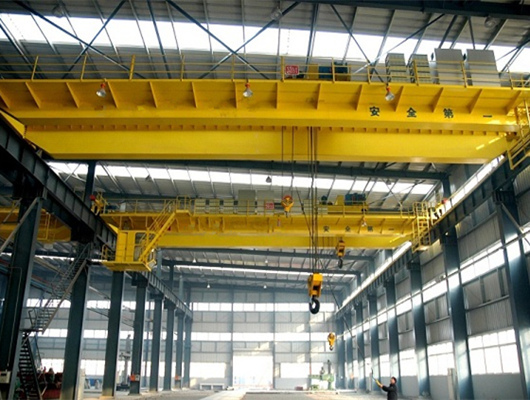 You can choose the electric crane, underhung overhead crane, grab bridge crane, shop overhead crane, etc. The double beam overhead crane includes the explosion proof overhead crane, grab crane, magnetic bridge crane, crane with hook type, etc. Double girder bridge crane has strong structure and heavy duty weight. the double type height is 10.5 to 31.5 meters. In addition, it can adjust the height depending on the needs. If you have special requirements, we can improve the crane height and span. The temperate can be in the -20 to +40 degrees. 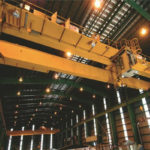 Specially for the casting overhead crane temperate can be up to +60 degrees. 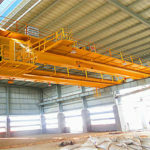 For different overhead crane types, they have the various work classes. 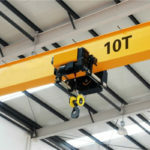 Overhead crane model has many different types. 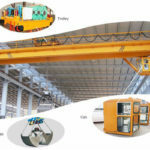 According to the different models, there are occasion cranes including the shop crane, workshop overhead crane, factory bridge crane, industrial type, workstation overhead crane and other cranes. In addition, you can choose the various tons like 1 ton crane, 2 ton crane, 3 ton crane, 4 ton crane, 5 ton crane, 10 ton crane, 100 ton crane, 200 ton crane, etc. If you are interested in this crane among them, please get in touch with us as soon as possible. You will find out they have high quality structure and reasonable size to offer you. What’s more, we can customized overhead crane model and size according to users’ requirements. 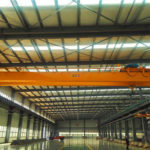 Overhead crane specification includes the work application, capacity, size, the height, the span, the work class, the temperate of the overhead crane and other needs. If you want to learn more details about the crane you want to order or purchase. Our team has professional work experience and design model. We can adopt the advanced design to design and manufacture. We can complete a series of operation including the packing, dispatch, transportation, safe delivery at site, required fabrication at site, installation, testing & commissioning, performance testing. As the leading manufacturer and supplier of crane in China, we can provide the customers with tailor-made solutions for efficient material handling and individual service from design through to maintenance. Our company has been ensuring high quality and precision right down to the smallest component for more than several decades now. Our company products and system cover the entire load range up to the higher tons you want to purchase. They can easily be adapted to any factory shape or application conditions. 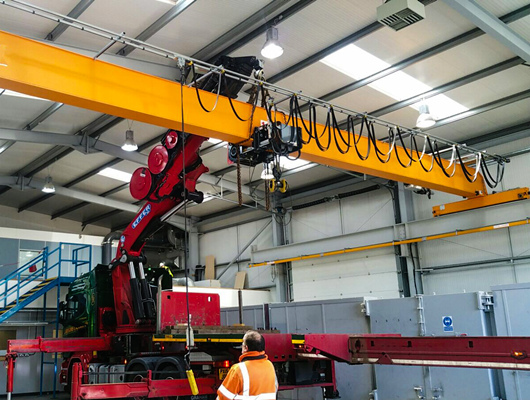 The wide range of accessories available means that the cranes are ideally suited for special applications. Our company products are highly versatile and extremely reliable and have a number of features which we can offer as standard equipment. Whether you need lift or lower, our crane can control the entire operation. 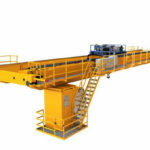 The single girder traveling crane can ensure efficient material handling. Evenly, in very little space there is available in production halls or warehouses. 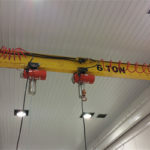 Every type is available in different girder connection versions to allow a space saving configuration and an optimized highest hook position. Double girder type has various configurations and features the versatility required for additional requirements. In addition, we can add other services and features which can easily be implemented.